Ukraine International Airlines (UIA, Kyiv), the largest airline of the country, has filed several claims to court, and in one of them the airline demands to annul a contract between the leading low cost airline in Europe Ryanair and the Lviv International Airport, Ukrainian Infrastructure Minister Volodymyr Omelyan has said. 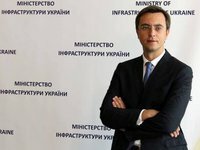 "Yesterday I received several court claims from UIA, the essence of which is the following: to annul the contract of Ryanair with the Lviv airport, ban the ministry to help Ryanair in Ukraine, and the icing on the cake – over the possible arrival of Ryanair to Ukraine UIA had to cut prices and caused damage to itself. The airline asks the court that the Infrastructure Ministry compensates dozens millions of hryvnias of the "loss," the minister wrote on his Facebook page. Omelyan also said that UIA use all opportunities to block the arrival of the low cost airline and allow Ukrainian to fly dozens of times cheaper in Europe and the world and the increase of tourist flow to Ukraine. "In short, I, of course, will stand fast – Ukrainians have the right and must receive high-quality and cheap services in all spheres. Low cost airlines and Ryanair will be in Ukraine," he said.